The most valuable assets many couples own are not tangible, such as real estate or rare collectibles, but instead, are drawn from investments stakes in retirement accounts, the stock market, annuity funds, and the like. From small businesses to large corporations, millions of Americans have a substantial portion of their livelihood invested in companies, and are deeply intertwined in the operation and success of the enterprise. A question emerges, though, when a person in this situation divorces, and the other spouse suddenly becomes entitled to approximately half of the ownership interest. This can create considerable complications, depending upon the amount of influence and involvement a spouse has in a business, and the type of settlement the other spouse is willing to accept as part of the division of property. This conundrum is facing Amazon’s founder, Jeff Bezos, after his recent announcement that he and his wife of 25 years are divorcing. That time period encapsulates the entirety of the company’s existence, meaning that even in States that allow separate property (Washington is a community property jurisdiction), she would be entitled to half of the Bezos’ fortune, which is almost exclusively represented by Amazon stock. 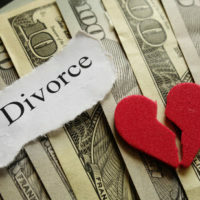 Dividing a business interest in divorce is a frequent source of litigation, and some approaches to facilitate settling this issue will be discussed below. Like most States, Florida has an equitable division approach to dividing marital property in divorce. Further, there is a presumption that an equal division is the appropriate allocation of assets and debts. However, the most important aspect of this approach is to find a fair outcome, and a spouse can present evidence that supports an argument against an equal division, such as hugely disparate incomes or a dissipation of marital assets. The court looks at a long list of factors that generally assess each spouse’s earning capacity, the length, of the marriage, and the contribution of each spouse. When a business is involved in a divorce, three main issues will determine how it is ultimately treated in the divorce case: is the business marital property, what is the value of the entity, and whether there are other assets that could cover the value of a spouse’s share. Turning to the first issue, the classification of the business as marital or separate, courts will first look at when the business was started. Typically, assets acquired before the marriage are considered separate, and those obtained while married as part of the marital estate. Thus, businesses started before the marriage are more likely to be classified as separate and not subject to division. However, separate property can acquire the status of a marital asset if it is used to support the marital relationship or is commingled with marital assets, such as using money from a business for personal expenses. Assuming the business is considered marital property, it will need to be valued so an appropriate division may be made. The judge will select a valuation expert to do a valuation and present a report to the court. There are several valuation methods, and a valuation expert will go through all three when offering an opinion on the value of the enterprise (income, market and cost approach), which the judge will then choose among. Choosing the best and most appropriate method is a common source of contention because making the wrong choice can easily lead to an over- or under- valuation of a company. Note that each spouse can present arguments for or against a particular valuation method, though the court does have considerable discretion when deciding the value. Finally, when deciding how to divide the business, courts rarely order a spouse to divest shares to settle the division. Instead, other assets are typically awarded in proportion to the share the other spouse should receive. Thus, the spouse with ownership of the business may receive less or nothing at all from the marital estate. 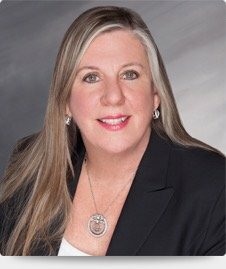 Business owners stand to lose a lot in divorce, so working with an experienced divorce attorney to ensure any settlement is fair is essential. The dedicated attorneys at the office of Joyce A. Julian, P.A. have years of experience helping divorcing spouses navigate this process, and understand how important the right financial experts are in these situations. Contact the Fort Lauderdale law firm today at (954) 467-6656 for a free consultation.